Always a pleasure to welcome back Pat McDermott. If you're intrigued by ancient Ireland and fairies, you do not want to miss her books! When I started writing my young adult adventure series featuring Ireland’s fairies, I knew that at some point, I’d be dealing with leprechauns. They appeared at last in the third Glimmer book, A Pot of Glimmer. How to describe these famous sprites without making them sound like the run-of-the-mill gremlins on cereal boxes and in tourism ads proved challenging. A Pot of Glimmer opens in medieval Ireland, 1014 AD, just before the historic Battle of Clontarf in which High King Brian Boru defeated the Vikings. My patriotic commando leprechauns, led by one Awley O’Hay, rob a Dublin mint to provide silver coinage for King Brian’s troops. The theft leaves Steng the Money Master a tad annoyed with Awley. Awley isn’t worried. How can a mere Norseman capture a leprechaun? The unfairness of Awley wielding his magical glimmer while Steng lacked a comparable gift compelled me to even the playing field. My investigation into Viking mythology offered a fabulous way for the money master to take his revenge. From past research, I knew a good deal about Vikings, but I’d never heard of a draugr, an undead creature who leaves its grave at night to feed on men and cattle. Awley finds himself in serious trouble each time the money master-turned-draugr turns up to haunt him. There’s little he can do, however, for draugrs can only be slain by mortals. Yet he’s not without resources. More than once, he’s turned to Becula, a powerful fairy witch, for assistance. Awley’s dilemma casts American teen Janet Gleason and her royal friend, Prince Liam Boru, into a web of unthinkable horror. In the first two Glimmer books, Janet and Liam’s budding romance suffers from fairy mischief, but fighting a draugr together takes the cake. Liam and his royal clan are descendants of High King Brian Boru. Liam’s lineage impresses the leprechauns, yet he has no time for formality: the draugr has kidnapped Janet. Melding elements of two unique oral traditions entertained me enormously as I wrote. The characters seemed to dictate to me, guiding me through their struggles with danger and romance (leprechauns fall in love too). These classic story ingredients, commonly found in the folklore of every culture, gave the world its first great sagas. May folk tales ever inspire us! Ireland, 1014 - Leprechaun Awley O’Hay robs a Dublin mint to help King Brian fight the Vikings. The money master’s vengeful ghost troubles Awley for centuries. Ireland, 2015 - The fairies have not only plagued American teen Janet Gleason since she arrived in Dublin, they’ve also hindered her romance with Prince Liam Boru. When Janet’s grandfather, the American Ambassador, throws a Fourth of July celebration, Liam stops by. Also attending are several uninvited guests whose appearance plunges Liam and Janet into a nightmare they never imagined. Nor did they imagine that real leprechauns are nothing like the “little men” of Irish lore. 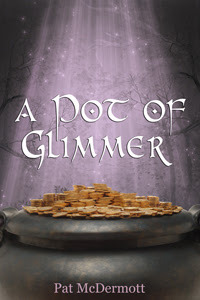 A Pot of Glimmer, Book Three in the Glimmer Series, is available in print and eBook from Amazon. Learn more about Pat and her books on her website. Mark your calendars, bold starfarers. Beyond: Space Opera will be available wherever eBooks are sold on August 15th, and it'll be chock-full of rollicking space adventures the likes of which you've never seen! 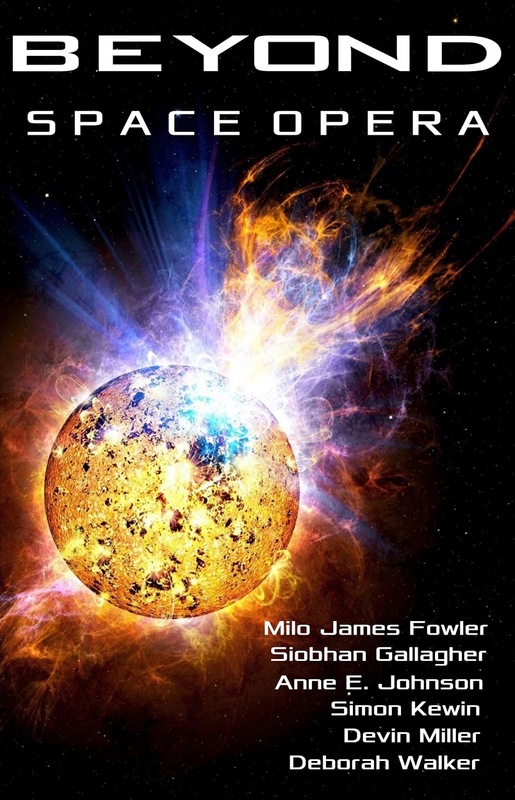 When will this awesome anthology be available? August 15th. Where will it be available? Amazon, Barnes & Noble, iBooks, Kobo, Smashwords. How much will it cost? My goal is to make it FREE, but Amazon usually takes a few days to price-match. 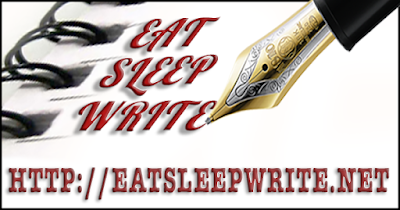 The list price will be $2.99, and I plan to have it perma-free by August 15th. 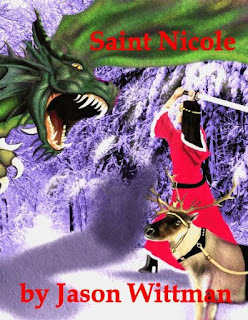 I'm delighted to welcome fellow Alban Lake Publishing author, Jason D. Wittman, who promises to give some insight into his highly original fantasy novel, Saint Nicole. Christmas in July, anyone? When Anne invited me to discuss my novella Saint Nicole on her blog, I was not sure what to write at first. Most writers grow uncomfortable when asked, "Where do you get the ideas for your stories?" The reason for this is that the people who ask that question seem to expect some fascinating, eye-opening answer, like: "I was playing Nikolai Rimsky-Korsakov's Flight of the Bumblebee on my bagpipes one day, when suddenly it occurred to me..." In reality, most sources of inspiration are depressingly ordinary. Stephen R. Donaldson, for instance, has famously said he was once inspired by a can of Lysol disinfectant in a men's room at a convenience store. Me, I get my inspirations from other sources. One time, some co-workers and I were discussing funny t-shirts we had seen, and I told them of one that said "Schrodinger's cat is dead," on the front and "Schrodinger's cat is not dead," on the back. My co-workers all gave me blank stares. And as I struggled to think of a way to explain the concept of Schrodinger's cat to them, my short story The Sarcophagus of Lady Schrodinger was born. The inspiration for Saint Nicole, though, did not come from a t-shirt. It came from those newspaper articles you see whenever Christmastime rolls around that tell of how the various Christmas traditions came to be -- the Christmas tree, for instance, comes from Germany; while mistletoe was originally used in druidic rituals. This got me pulling together a mythical "origin story" of how all these ancient traditions joined forces to become what we know now as Christmas. And that phrase "joined forces" put me in mind of an epic conflict, where the peoples of various cultures come together to defeat a common enemy, in the vein of The Lord of the Rings. There would be mortal human beings, of course, and joining them would be the Fair Folk, as well as the Thunder People, vaguely representing the Norse, and the Lightning People, representing the Greeks. I also put in a mysterious figure called the Silent Knight, and the Five Golden Rings, powerful magic talsimans inspired by The Lord of the Rings and the old song "The Twelve Days of Christmas." Archenemy. Let's see now. What kind of archenemy would be appropriate for this story? Well, since Christmas is all about the bestowing of gifts, and of Peace on Earth, Good Will to All, it seemed to me that the story's main antagonist would have to be the most sociopathic, solipsistic creature ever born. And so I came up with the dragon Furnaceheart, whose one single goal in existence is to eat everything and everyone in existence. Throughout the entire novella, he cannot understand why all this yummy food does not want to be eaten. Don't they understand that's what food is for? I wrote an entire chapter of the novella from Furnaceheart's point of view, and it was extremely fun to write an interior monologue with that kind of mindset. I like to think I got it right. In the end, it falls to the young, inexperienced Nicole to defeat this vile foe. If you want to know how she fares, you will have to read the novella itself. Learn more about Jason D. Wittman on his blog. Purchase Saint Nicole from Alban Lake Publishing. If you know my work, you know I love funny. And now I've gotten myself involved (embroiled?) in another funny project. 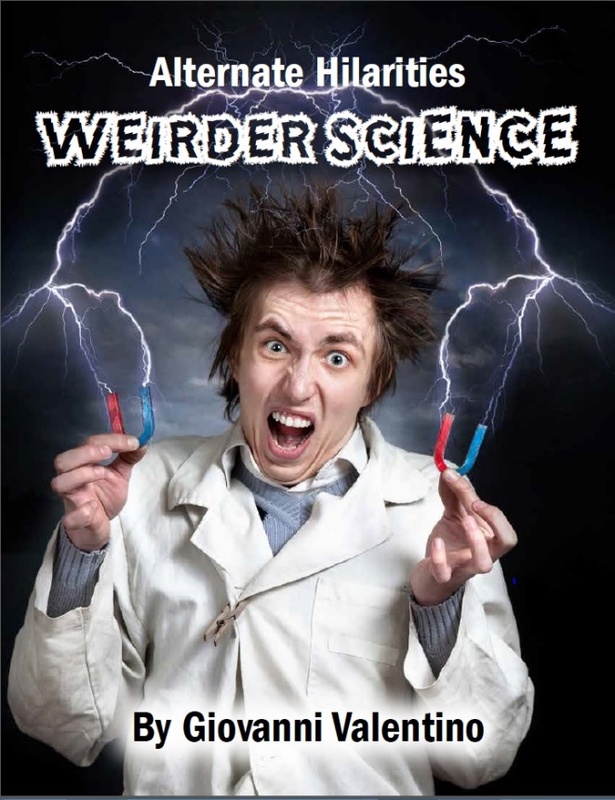 Strange Musings Press is publishing Alternate Hilarities: Weirder Science, the fourth volume in a series that pays tribute to a previous sci-fi periodical of the same name, from back in the day when magazines existed only as bound paper objects. Science can be both savior and damnation. The inventions of the great minds of the world can make our lives easier, bring about our destruction and facilitate the delivery of terabits worth of funny cat videos. Technically, those last two might be the same thing. 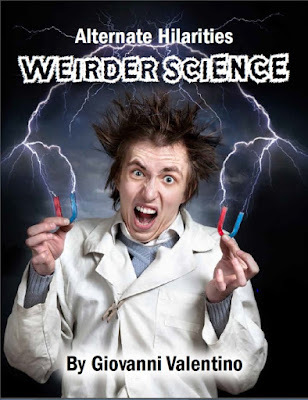 Madness and Science go hand and hand. Seriously...don't you simply need to read this? I'm starting to feel like an old hand at this weekly column-writing gig. The way my brain functions, I can get nearly anything done if I think of it as a series of tasks and schedule those tasks in some sort of regular pattern. 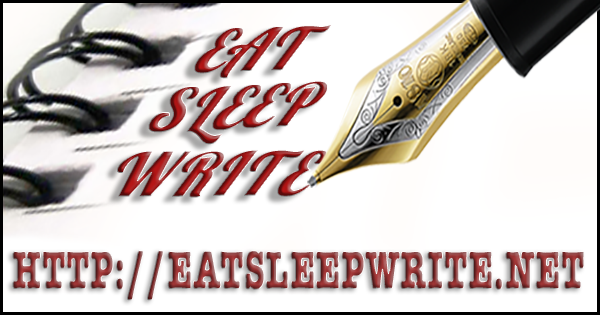 Seems to be working for my Kid Lit Insider column on Eat Sleep Write. What is Early Reader literature?